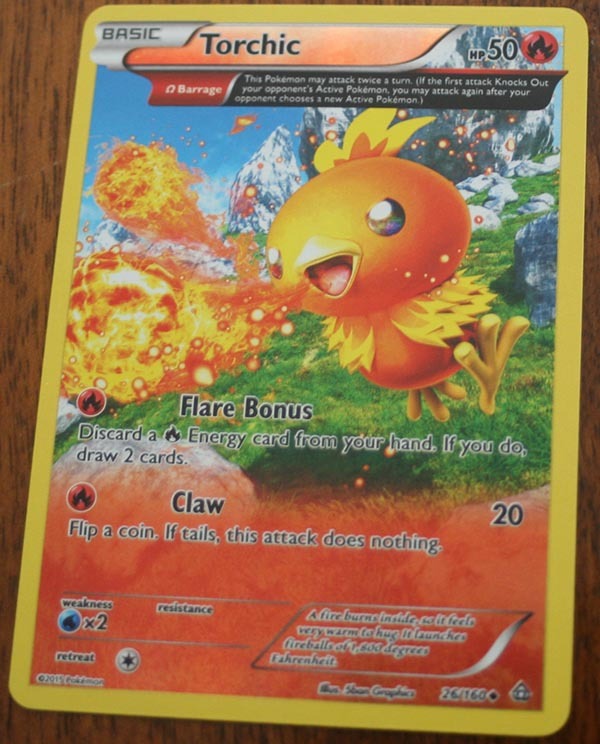 Nintendo's Pokemon franchise has a card trading game called Pokemon Trading Card Game(TCG) . The cards are made to be used for card battles, but all the kids around here seem to just collect them like baseball cards, trying to get interesting ones. Every 2-3 months, a new series of cards are released. These started in 1999 so there are many different sets out there . 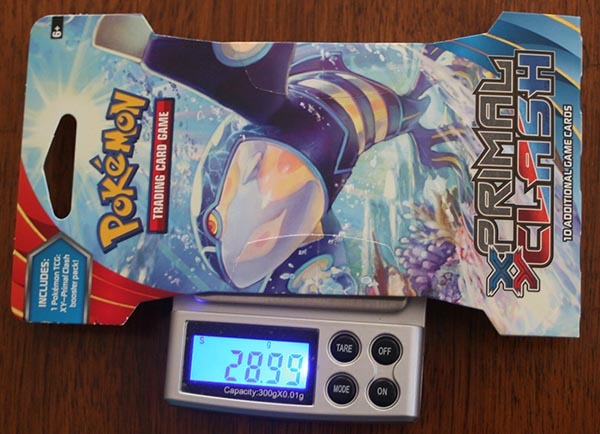 Nintendo has packaged their cards for sale in many different ways. 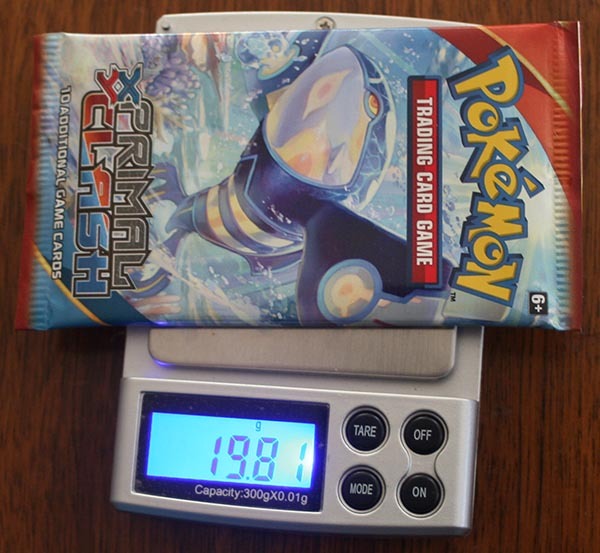 The most popular method at retail seems to be booster packs, which contain 10 random cards. The packs are guaranteed to get one rare card, up to three uncommon cards and the rest common cards . 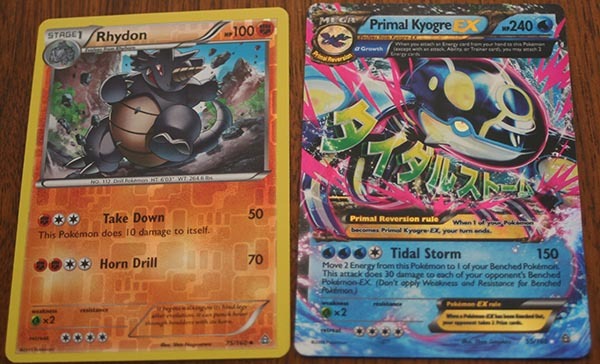 The rare cards can just be cards that are not seen often (evolved and legendary pokemon), shiny looking cards (called "holofoil" or "holo" cards) or ultrarare cards. These ultrarare cards have a thriving second-hand market with thousands being sold on eBay. 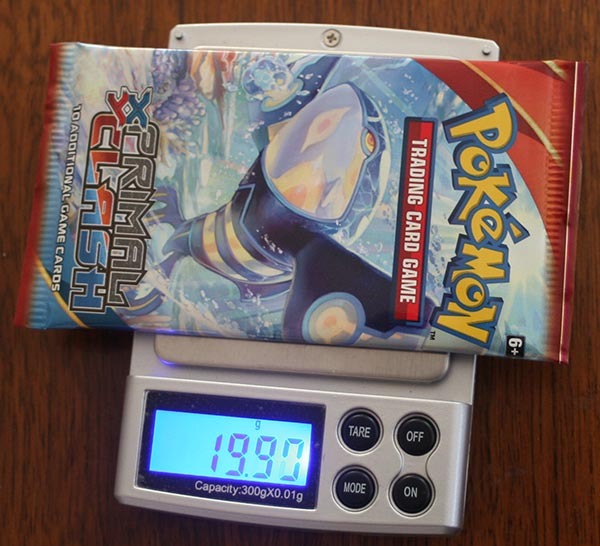 Based on these weighs it seems like it owuld be possible to pick out which packs have cards with holofoil or ultrarare cards inside them! So we tried it. 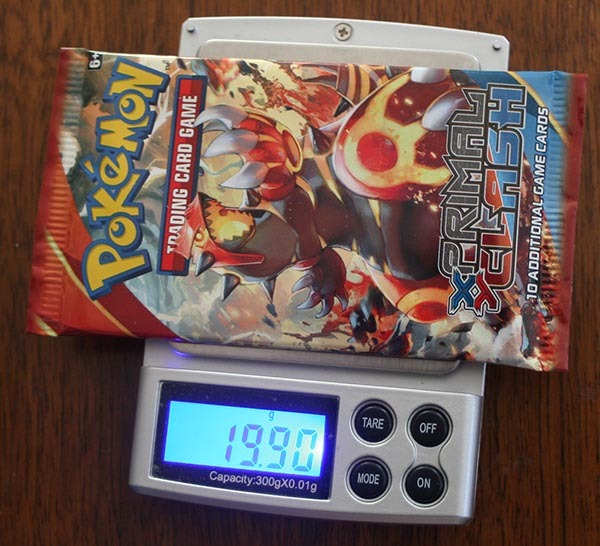 We went to a Target and weighed out booster packs of Pokemon. We weighed about 20 packs of cards and there were about 6 packs that weighed more than the rest. We decided to buy the four heaviest packs. 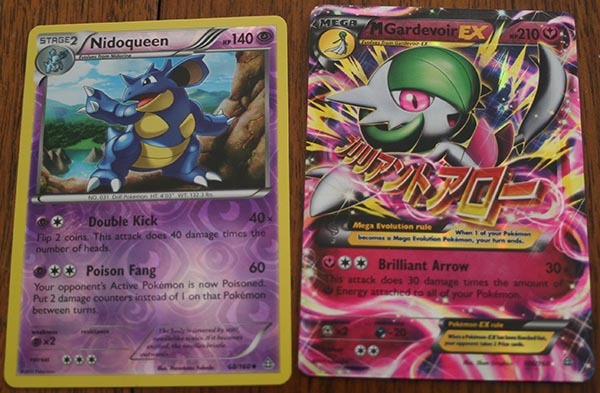 The booster packs we bought had a foil pack around the 10 cards, as well as a cardboard wrapper around the foil pack. 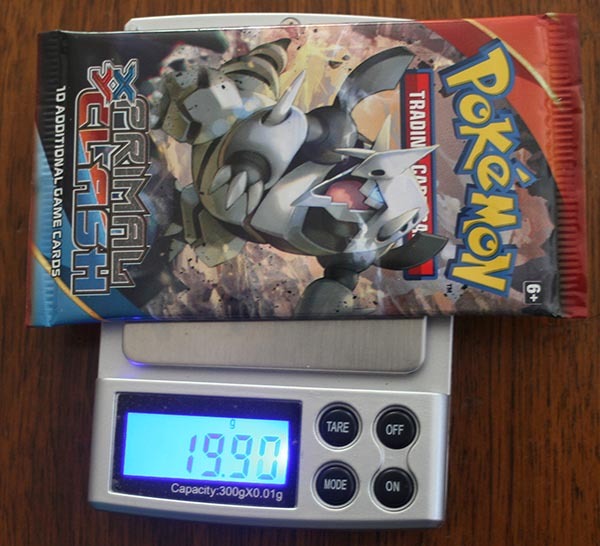 The four packs we purchased had a mean mass of 29.02 grams. We took off the cardboard wrapped and the foil packs had a mean mass of 19.88 grams. So the cardboard had a mass of 9.14 grams. 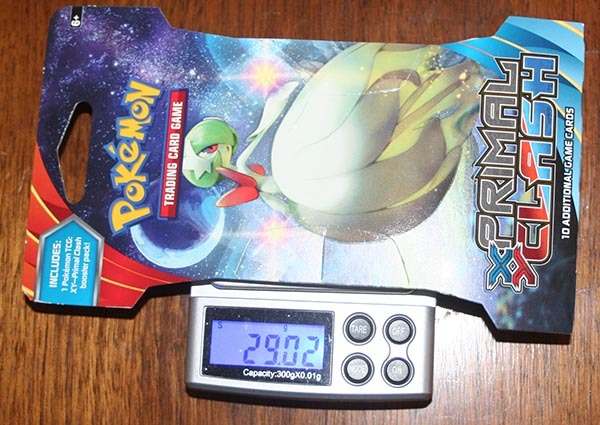 We put up the three ultrarare cards on eBay to see if we could recoup the cost of the Pokemon cards. 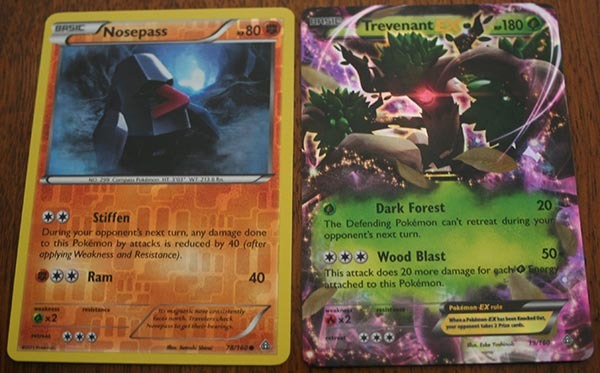 All three were priced at 5 cents below other identical cards. They sold within two days. 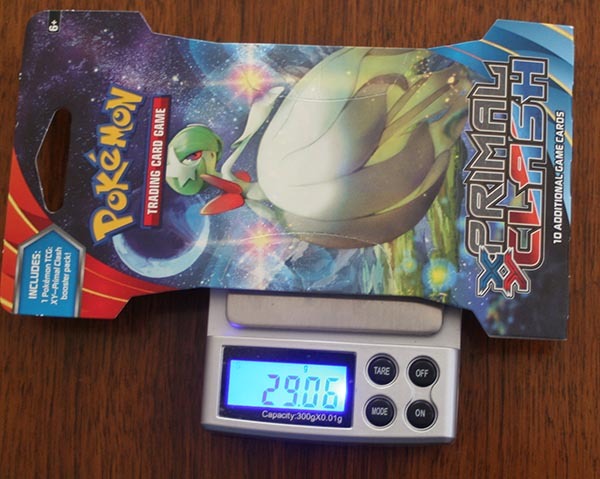 Each booster pack also has an online code for some online game that can be played. We sold those as well. So overall, we bought 4 booster packs for $17.77 and sold 3 out of the 40 cards for $20.75, making a net profit of $2.98. The federal minimum wage is currently $7.25. My state doesn't have a higher rate, unlike 29 other states that set a higher rate. Working a full-time day of 8 hours/day, would bring in $58/day gross. 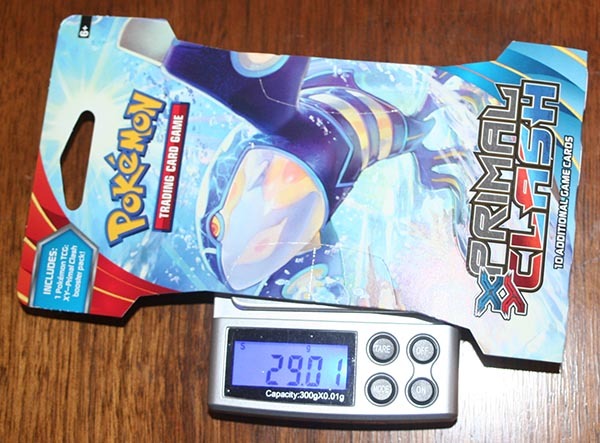 To meet this amount, you would need to open ~78 heavy booster packs a day. Based on this pilot test, it should be possible to take under 8 hours/day to do this. Especially if the process were optimized. Due to the sheer number of packs that need to be screened, it's likely that local sources would not be able to sustain an ongoing operation, but buying packs in bulk is a possibility.